Just in time for the 80th anniversary of the Jaguar brand, the Jaguar Heritage Team has make a move, to attend the most spectacular race of all time. Under the slogan "18 Drivers, 9 Jaguar Heritage Sports Cars, 1093 Miles" three D-Type, three C-Type, one XK120OTS, one XK140DHC and one MkVII went to Brescia into the beautiful Italy. Many well-known celebrities from show business and racing were among the drivers and navigators. Jodie Kidd, TV presenter and current entertainer of The Classic Car Show on Channel 5, did not insist to be involved this year. Her set of wheels, a Jaguar XK120OTS, she already baptized lovingly on the name "Betsey" in 2014. Suspicious this year is probably the large, bear looking MKVII, at which many viewers wondering, what a family saloon doing on the racetrack. Far from it, also this car, which was on its way as the fastest saloon of his time, has to have a presentable racing history. Since there is probably only one thing to say: "Happy Birthday Jaguar". 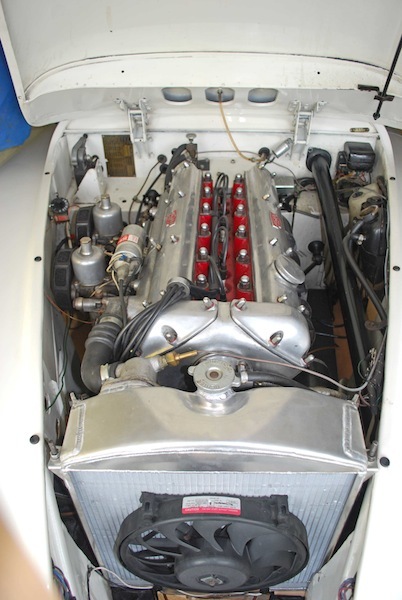 Jaguar XK120 OTS - "Special Equipment"
Excelent for daily driving, matching numbers !!!! Built in December 1952 and exported directly by Jaguar to their distributor in Los Angeles. Returned to the UK in 1986. All original numbers with Jaguar Heritage certificate and all bills from 1991 till today. 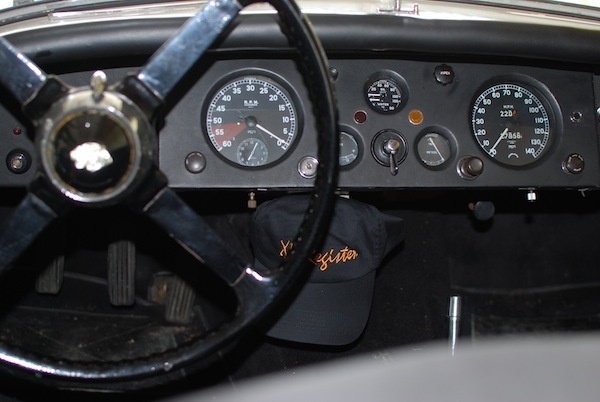 The XK is in superb condition, a full (body on) restoration 1999-2002, engine rebuilt (re-bore and crankshaft regrind, new clutch and gearbox bearing seals) in 2013. Owned by the seller from 1991, averaging 2000-3000 miles per year since. The owner was the Jaguar Driver’s Club (JDC) XK Correspondent from 1996 to 2012 and organiser of the JDC’s annual autumn XK weekends for a number of years. 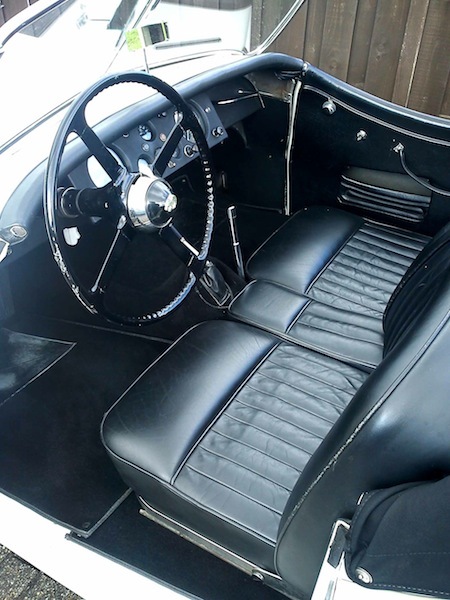 The car is well known to many XK Register members. 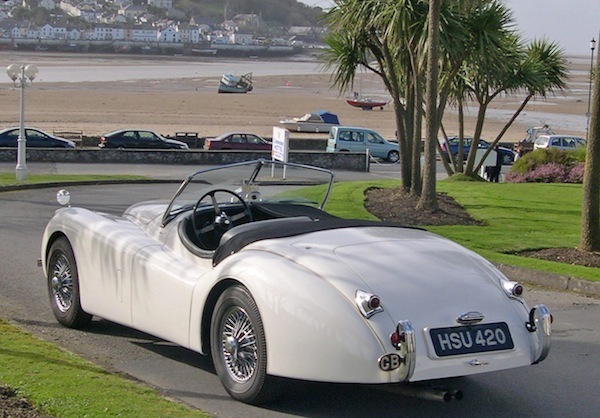 The car is in North Devon, near to Barnstaple EX31 3EF, nearest airports Exeter and Bristol. In the last months we read in the headlines and titels of newspapers and online news: "On the way to classic" or "Big cat dying out" and in fact, Jaguar finished the production of the Jaguar XK this summer. Reason for the adjustment, so it said from the boardroom of the company, to creating capacity for the production of new models. Beginning 2015, the Jaguar XE come on the market to reshape the middle class segment and even an SUV, with Jaguar is breaking new ground, is in development. To dismiss the Jaguar XK worthy, a special edition was launched as a coupé and as convertible, the Jaguar XK66. This, how should it be otherwise, on 66 vehicles limited edition, remember the 66 years of production, where the Jaguar XK was built. The successor of the Jaguar XK in the sports car segment is the Jaguar F-Type, which this year newly released. So history repeats because we can all remember well, as on 15 March 1961 the Jaguar E-Type succeeded the Jaguar XK150 and an era ended, until, in the spring of 1996 at the Geneva Auto Saloon, with the Jaguar XK8 (works name X100) again took a new beginning. This was so painful, that it retained affectionately named XKE for the E-Type in America. We are familiar with the old saw: "All good things come in threes". Therefore remains to be seen if the success story XK repeated again.